The San Juan National Forest has worked with partners to design and implement a silvicultural study for climate change adaptation. 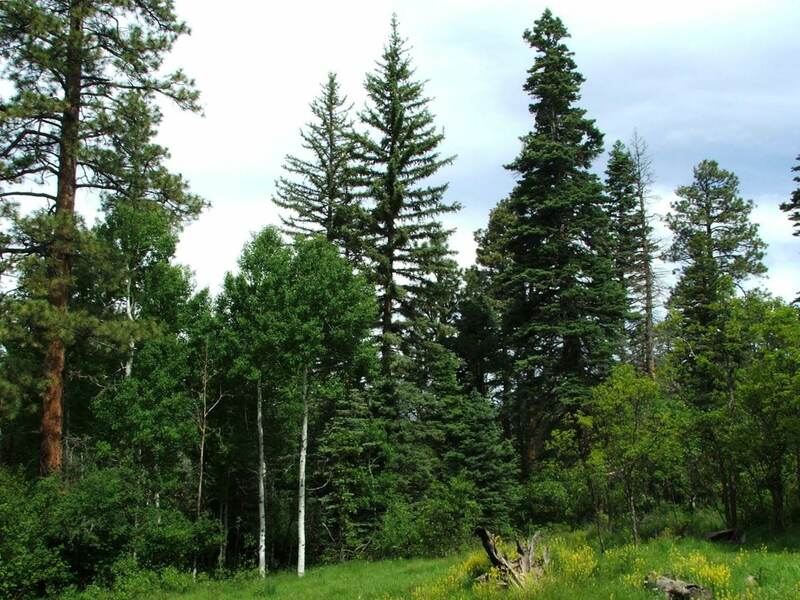 The San Juan National Forest is participating in a nation-wide study called Adaptive Silviculture for Climate Change (ASCC). The goals of this project are to test different silvicultural approaches to climate change adaptation that will also serve as useful examples across the country. The San Juan National Forest ASCC study site was established on Jackson Mountain in Southwestern Colorado, ranging in elevation from 7,400 to 8,600 feet. The site has deep, well-drained, loamy soils, and variability in aspect with deep drainages and slopes from 0 to 35%. The San Juan ASCC project is located within a dry mixed conifer forest type, containing various tree species including ponderosa pine, Douglas-fir, white fir, aspen, and a shrubby component of Gambel oak. Each species has specific strategies and tolerances to cope with drought, fire, insects, and disease, and provides an excellent opportunity to test various management treatment strategies to inform future management of these forests. Prior to 1873, the mean fire interval was about 30 years in the San Juan National Forest. The area was lightly logged over 50 years ago as indicated by large ponderosa pine stumps. In the mid-1970s through early 1980s, a prep cut of a two-stage shelterwood was implemented removing mainly large diameter ponderosa pine and Douglas-fir. Over the past several decades, the area has been subjected to a range of insects such as western pine beetle, fir engraver, and Douglas-fir beetle, as well as root diseases and dwarf mistletoe. Mike Battaglia (USDA Forest Service Rocky Mountain Research Station) is the site lead for the San Juan National Forest project and Linda Joyce (USDA Forest Service Rocky Mountain Research Station) is the co-investigator for the project. Key partners include Matt Tuten (USDA Forest Service San Juan National Forest), Tim Leishman (USDA Forest Service San Juan National Forest), Jeff Cannon (Colorado State University, Colorado Forest Restoration Institute), Tony Cheng (Colorado State University, Colorado Forest Restoration Institute), Gretchen Fitzgerald (USDA Forest Service San Juan National Forest), Lance Asherin (USDA Forest Service Rocky Mountain Research Station), Jeff Underhill (Colorado State Forest Service, formerly USDA Forest Service Region 2), and J.R. Ford (Forest Health Timber Products, LLC).